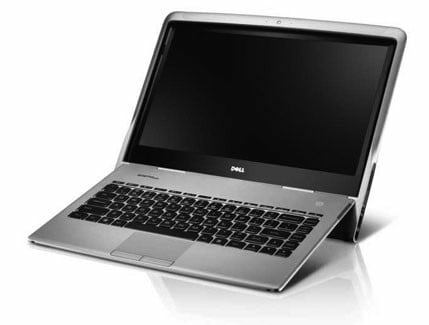 I’ve been playing with the Dell 9.99 for about a week now, and this product defines amazing. If you thought the MacBook Air was thin, this is about half the thickness of the Air. Dell pulled this off by increasing the length of the notebook, but this also raises the screen in use to a much more acceptable height for most notebooks. Because this thing is so different than the run-of-the-mill notebook product, both inside and out, words and pictures don’t really do it justice. You really need to see it in person. I’ll start with the specs and then roll into impressions, but let’s be clear: The last notebook that was this revolutionary was likely the HP Sojourn, which was so far ahead of the market it drew crowds. Unlike the Sojourn, which cost $7K in today’s dollars a decade ago, and was pretty much unusable, you could live very easily with the 9.99. I’ll give you the core specifications at a glance and then move to the cool tech. Now, where it gets interesting is in the dimensions. Remember how thin the Air was?